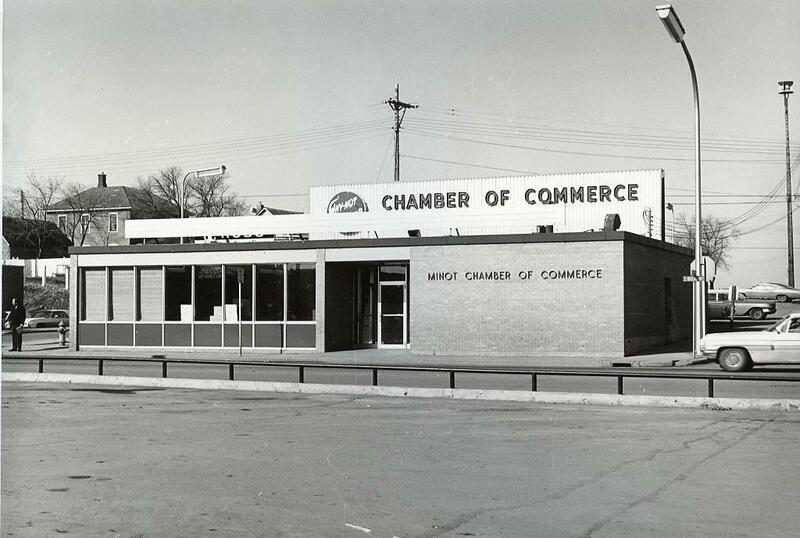 Minot Chamber of Commerce – New building – On Tuesday, January 13, 1959 the Minot chamber of Commerce officially celebrated the open house of their “brand new” building at 2nd Avenue and 2nd Street SW. (the corner of 2nd Ave & Broadway). 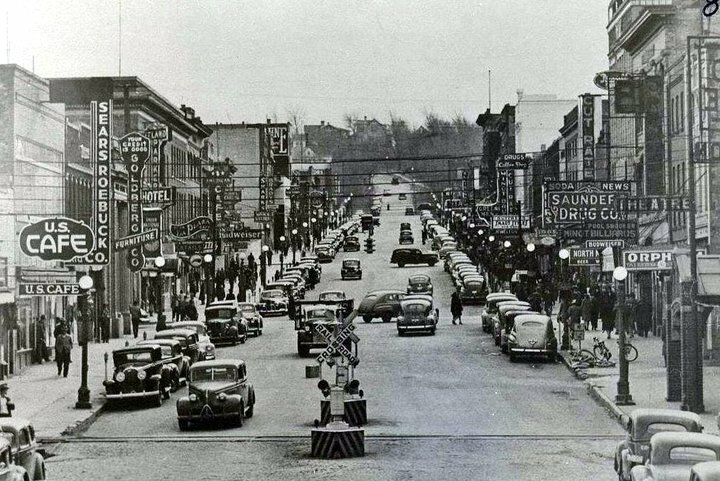 Contractors involved in the construction were Harry R Cook & Sons – Plumbing – Mackley Construction – Montana Dakota Utilities (even the water heater is natural gas) – Northern States Power – Holmes Electric – M&S Roofing & Sheet Metal and Fargo Glass & Paint and Johnson Concrete Products. The building was built at a cost of $60,000.00. The location is now the home to Papa John’s Pizza. When I joined the Chamber this was the office. We approved the move out south several years later.